I have completed B.Com from North Gujarat University and now I have decided to study abroad . Would you please tell me how can I get Transcript of this University ? 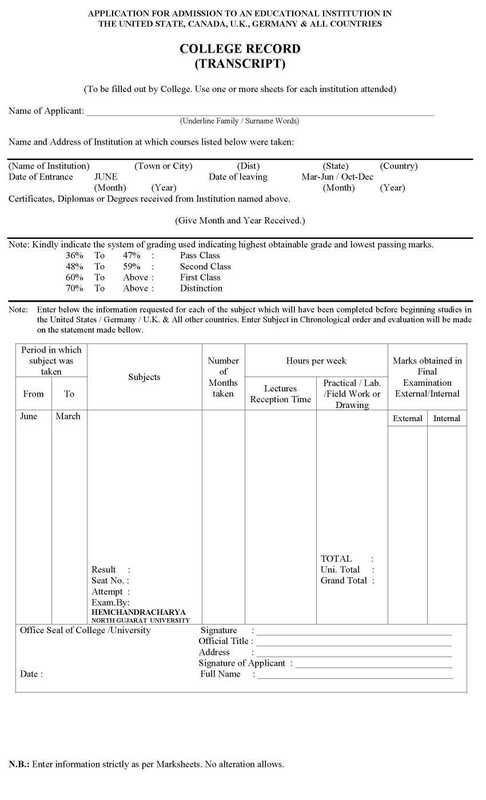 Can you provide me a link from where I can get my Transcript of North Gujarat University ? Can you tell me where on the official website of North Gujarat University will I get the College Record (Transcript) Form? The North Gujarat University was carved out of Gujarat University whose Headquarter is at Ahmedabad. On bifurcation, the North Gujarat University inherited no physical assets from its parent University.